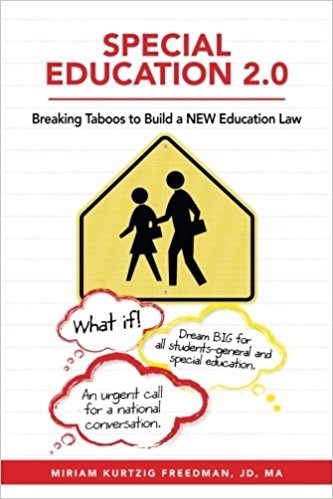 Special Education 2.0: Breaking Taboos to Build a NEW Education Law by Miriam Kurtzig Freedman points out the successes and flaws of the 1975 law that established federal control of public school special education programs. It argues against labeling students and for giving all students what they need without wasting money on bureaucracy and litigation. Share this with policy makers you know. The main idea is that public education needs to meet the needs of all students and that there should be no individual entitlement. Strangling paperwork and compliance requirements need to be streamlined. There is a focus on home-based, parent engagement learning environments along with preschools to close language and other gaps. Adaptations should be aimed at improving learning, not just getting kids through. We should learn from other countries like Finland and fund research-based programs. Early interventions for struggling students is key. Least intervention needed should replace least restrictive environment and strengths should be highlighted along with weaknesses. Teacher preparation should be strengthened. There should be a focus on student engagement and student responsibility to be motivated and present. Due process rights should be the same for all. The current special education law (IDEA) was first passed in 1975 and tweaked several times since. Prior to that, many children with special needs were barred from public schools or served poorly. While the law has had some positive impact, it has also had a number of unintended consequences. They include the rampant fear of litigation, too much bureaucratic regulation paperwork, excessive cost, and input-driven requirements far removed from improving outcomes for students. While Congress is expected to reauthorize the law again, all we can expect is that they will change discipline policies, add and/or subtract assessments, reemphasize inclusion, and perhaps reallocate more resources. What Miriam sees is a 20th-century law that isn’t working well in the 21st century. This is the foundation for her belief that lawmakers should start from scratch. 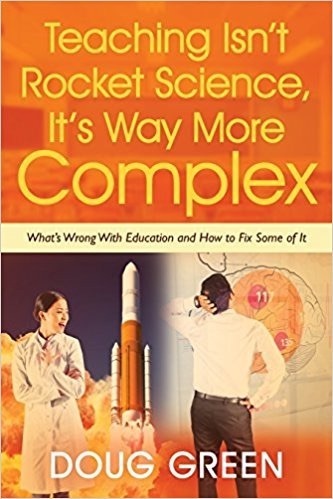 This entry was posted on Monday, May 8th, 2017 at 8:19 am	and is filed under Book Summaries, Education Books, Leadership Books. You can follow any responses to this entry through the RSS 2.0 feed. You can leave a response, or trackback from your own site.